Dweck, C. S., Chiu, C., & Hong, Y. (1995). Implicit Theories and Their Role in Judgments and Reactions: A World From Two Perspectives. Psychological Inquiry, 6(4), 267–285. This week I am reviewing one of the references listed in last week’s research article blog. Dweck, Chiu, & Hong’s 1995 article in Psychological Inquiry is seminal in the mindset literature. The authors explore the concepts of what has come to be known as “mindset” – whether one believes that certain aspects of self are fixed or whether growth is possible (Yeager & Dweck, 2012). In the 1995 article being reviewed in this blog entry those binary descriptions are labeled (respectively) “entity” and “incremental” implicit theories. This research comes from the field of psychology and has worthwhile implications for educational practice. Though this article is a couple degrees removed from any of our assigned readings for class, the authors sing what has become a familiar tune by now: Be aware of bias. Just as bias is naturally found in a scientist’s interpretation of data based on implicit assumptions, the authors suggest that biases or implicit assumptions also guide an individual’s view of life – in this case of “the way information about the self and other people is processed and understood” (Dweck, Chiu, & Hong, 1995, p. 267). Each individual is a “theorist” relying on implicit assumptions that influence their judgment and behavior. In essence, bias plays a part on the macro level in interpretation of data as well as on the micro level in an individual’s narrative. The article is very well organized with useful headings and subheadings and a well-written abstract that allows the reader to anticipate what’s to come in the article. A thorough groundwork is laid, beginning with reference to psychological theories from the 1950’s, to help readers clearly see the authors’ path. The meat of the study is examining biases or orientations toward two particular attributes – morality and intelligence. To establish the reliability and validity of the entity and incremental orientations toward morality and intelligence, the authors include the three uni-directional statements from the assessment used to determine entity or incremental orientation. Both internal and external reliability are high as evidenced by the review of six validation studies. The validation studies also show that a person’s bias or implicit theory is not a function of age, gender, political or religious affiliation. Nor is orientation, or bias, necessarily the same across all attributes. The biases for morality and intelligence are statistically independent. For example, a person can have an entity (or fixed) theory on intelligence, yet an incremental (or growth) theory on morality. Dweck, Chiu, & Hong (1995) propose that the two different implicit theories lead to different psychological stances. For one who holds an entity orientation, for example, any encounter will be a measure of their (fixed) attribute, making every encounter a potential threat and encouraging defensiveness. For the person with an incremental theory, every encounter is an opportunity to grow and learn (Dweck, Chiu, & Hong, 1995). As an educator, I want students to experience their encounters with life (including school) as an opportunity for learning and growth. And the good news is that one’s orientation toward an entity or incremental bias is not fixed; it can be influenced by external stimuli (Sriram, 2014). I have only a few minor editorial comments. I was surprised to notice a couple of typos in the text. They popped up without my intentional search for them – leaving out a word, repeating a word and forgetting a marker for one item in a list of three. They were only slight hiccoughs in the reading and did not distract from the meaning of the text. In keeping with the theory being studied in this article, I noticed that my explanation to self about the errors fall on the incremental side of things. I believe the errors may exist because this article was published nearly 20 years ago before we had as much technological support to catch errors. If the same article were published today, I’d be surprised to find more than one error. One other weakness of the research analysis offered in this article is that the demographic variables of the study participants were not addressed except in the validation studies. The authors were at Columbia University, an exclusive private institution, at the time of this publication. They refer to studies taking place in their lab. If their participants mirror the demographics of the school and are mostly White and privileged, will that impact the generalizability of the theory? Might there be nuances in the theory with a more nuanced population set? The theory of mindset provides a great foundation for the kind of impact I want to have as I develop my line of inquiry. Research is supporting that if students have a growth mindset they are more likely to engage in goal-directed behaviors and to believe in their own self-efficacy and in the ability of others to change (Yeager & Dweck, 2012). At the community college, many of our students have been marginalized and are skeptical about the system and how accommodating it will be for them. If students believe the system is not on their side and they have a fixed mindset they are more likely to give up. If I can encourage the students I work with towards a growth mindset, then their belief in themselves and corresponding goal-directed behaviors may increase. At the same time, we will be cultivating the belief that the system can change and become a better partner for students as they pursue their personal, career, and academic goals. Quijada Cerecer, P. D. (2013). The policing of Native bodies and minds: Perspectives on schooling from American Indian youth. American Journal of Education, 111(4), p. 591-616. In Patricia P. Quijada Cerecer’s (2013) article, “The Policing of Native Bodies and Minds: Perspectives on Schooling from American Indian Youth,” Quijada Cerecer analyzes “how school policies and leadership practices have assimilationist underpinnings that create hostile environments for these youth, negatively affecting their identities as learners.” Using four of the nine Tribal Critical Race Theory tenets, Quijada analyzed how “colonization is endemic to society,” “U.S. policies toward Indigenous peoples are rooted in imperialism, White supremacy, and a desire for material gain,” Indigenous peoples occupy a liminal space that account for the political and racialized natures of our identities,” and “educational policies toward Indigenous peoples are intimately linked around the problematic goal of assimilation” (Brayboy, 2005). The study involved 21 high school Pueblo youth (11 female and 10 male). Participants must be students at the public high school and have lived on or near the reservation for at least 10 years. The author decided upon this requirement to “capture perspectives of students who had lived on the reservation for most of their lives” (Quijada Cerecer, 2013). Data was taken from the qualitative study that spanned over the course of 5 years. The data were collected from interviews, focus groups, and observations with students, families and community members. Quijada Cerecer said, “the research unveils a narrative that runs counter to the ‘neutral’ tone embedded throughout institutional policies alleging to foster healthy academic identities for all students; instead, the youth’s experiences and voices illustrate how campus climates and institutional policies restrict and control Native students.” This was supported by the leadership decisions to hire a police officer to work on campus even though there had not been a history of violence or gangs on campus. It was also supported by the implementation of a dress code, in which all students had to wear khaki pants, and, again, there had never been an issue with gang-related activities. The study found that “leadership practices and curriculum did not reflect Native views of the world or lived experiences” (Quijada Cerecer, 2013). This was reflected in Arizona’s banned books initiative, which included some Native American authored books, such as Sherman Alexie. William, an eleventh grader, also posed important questions to the researcher and his peers, “’Why do we have to learn the White man’s way? Why can’t we learn our way?’” (Quijada Cerecer, 2013). Quijada Cerecer wrote, “his question underscores the notion that schools expect Native American youth to learn and adopt a white identity as students learners. In other words, schools expect Native youth to assimilate.” She also found that, for the most part, students were not actively involved or encouraged to become involved in ways to improve the school’s policies or leadership activities. I appreciate Quijada Cerecer’s requirement of having lived on or near the reservation for most of their lives to get a more accurate perspective of what schooling has been like for these students. I also thought it was a great idea to have the study span over a 5 year time period. However, I would have liked to read more dialogue that occurred between her and those she interviewed, students, families and community members. It seems as though she selected snippets that would support her research. Out of the 21 students who participated less than a handful were presented in her article. This leaves me wondering if they had seen and felt the same divide as the ones she did include. Or, if their perspectives did not support her research. Because I like visuals, I would have liked to see a record of her data, either in the form of a chart, graph, or diagram. I would imagine that she would have extensive data to share considering her study lasted for 5 years. I feel like the numbers would have made this article more impactful. Instead, I feel like she molded her data into what she wanted it to be. Which led me to question, again and as we have discussed in class on several occasions, is there such a thing as objective research?? Quijada Cerecer mentioned Arizona’s ban on books that was a result of the dismantling of the Mexican American Studies Department in Tucson Unified School District. However, I questioned whether or not this had an impact in New Mexico. If not, then why mention it? Unless it was just to support her research, which led me to wonder if her data was limited or non-existent during the course of her 5-year research. As I began to read this article, I immediately connected with it because this is something that I am very interested in. For the purpose of this blog, I did not delve into the story of Mr. Thompson, a white English teacher, because he would have consumed this entire blog. While I understand Quijada Cerecer’s desire to include his racist perspectives, I wonder about the other teachers. I wonder if there were other teachers that did their best to include culturally relevant material in their classrooms. I wonder if other teachers valued their students and built positive relationships with them. I remember when the controversy with the Mexican American Studies Department in Tucson. I worked in its sister department, the Native American Studies Department for 4 years. I saw their classes in action, and it was nothing like it was portrayed by the opposition. I was saddened when they had to dismantle the program because I knew what the students walked away with. And, it most definitely was not trying to find ways to overthrow the U.S. government. They did not walk away with hatred for other races. They walked away empowered by their culture, knowledge of their own history, and an appreciation for others. This study has made me think about how I could do something similar with my students, their families and community members. I am truly interested in learning more about their perspectives and how they have changed over the years, if at all. One of Quijada Cerecer’s suggestions was to form both student and parent councils that report to an administrator. I wonder if this is something that my principal or superintendent would be open to doing. If not, I will find a way to make someone listen. Our school need a voice. And, I know my students want to be heard. I am going to make this happen, one way or another. Brayboy, B. M. K. (2005). Toward a tribal critical race theory in education. The Urban Review, (37)5, p. 425-446. In a recent conversation with a few of the senior members of the enrollment management staff for Arizona State University, a colleague said to me, “the odd thing about all of the materials out there about enrollment management is the titles that sound like ‘enrollment management revolution’ or ‘paradigm shifts through enrollment management’; if someone thinks the concepts of enrollment management are new or represent a paradigm shift, they’re already 20 years behind most of the industry.” It set me on an interesting path of reviewing the literature published on enrollment management and, really, something of a historiographical analysis of the field. My colleague was correct when he said that there wasn’t much new about the idea of enrollment management as a field. Using Google’s NGram tool, which charts the frequency of the appearance of words in literature across time, the phrase ‘enrollment management’ begins to appear in approximately 1975, yielding almost 40 years of material. Interestingly, the frequency trends dramatically upward around the year 1999, begging the question of what drivers might be attendant in that increase. I was reminded of a frequent frustration I’ve had in reviewing the enrollment management literature, as my reading has not yielded much material on the impact of enrollment management strategy on graduate education. When I came across an article in College & University magazine on the role of Graduate Enrollment Management, I was delighted to see how the work is situated in the field. In the article, Crossing the GEM Frontier: Graduate Admissions Professionals’ Participation in Enrollment Management, authors Dean Campbell and Jahmaine Smith take on a very interesting topic: the development of professional identity in the field of Graduate Enrollment Management. The article begins with a brief “state of the field” section, wherein the authors describe the blurred line between enrollment management as a set of practices and as a philosophy or a mindset. They also describe enrollment management in a traditional sense as a set of practices that ties together student recruitment, admission, retention, career, and alumni functional groups. The central point of research inquiry questions the process of individual identity development as it relates to the integration of general tasks and responsibilities of the admissions function with the general processes of identity development. The concept that had the greatest impact for me was the one around professional socialization. This is the idea that supports the general ‘community of practice’ idea that there are internally reinforcing processes that inform identity. There are many components of professional identity: institution, background, communities, professional associations, individual departments, inter-office collaboration, all in addition to the thoughts, beliefs, emotions, culture, and more traditional drivers associated with identity development. But the notion of professional socialization, that knowledge, beliefs, skills, and behaviors are specifically socialized by the different professional communities affiliated with the admissions professional. The authors detail three components of identity in enrollment management (anticipatory, meaning development, and personal), discuss the details around the role of socializing of structural forces (i.e. 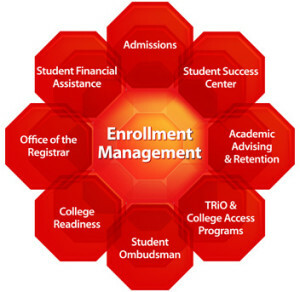 institutions, departments, associations), and then the very role of having a field called enrollment management. There’s some interesting descriptive work in their ‘Methods’ section, focusing on the way they attempted to ensure validity in the qualitative information solicited, the themes identified, and then the development of findings. Interestingly, there’s a great revelation around the source of the labor force in enrollment management being individuals who have worked in some way in the admissions field. Additionally, there are some interesting discussions of the roles of traditional identity types in enrollment management, how they both reinforce and produce cultural norms and socializing forces. And the conclusion is really around how professional socialization can be used as an effective analytical lens for figuring out how the field works. There’s an additional reinforcement to the field with the notion of enrollment management as a set of standard practices, as a set of general styles, and as a philosophy or approach to working. The role of the individual in development of strategy and operational design as professionally socially contingent – excellent! We have all seen movies where the police officer goes undercover to infiltrate the “fill in the blank bad guy group”. The officer becomes a member of the group and begins to connect with members, sympathizing with the group, but eventually takes them down. This troupe has been done over and over again and we think nothing of it. Now you may be asking, “Where is he going with this?” Some of the readings made me think this is part of our identity as a researcher. Now we are not looking to take down a drug syndicate or anything, but we are looking to get into environments where research subjects are willing and comfortable to talk with us and share information. Not unlike the officer going undercover, they were chosen for certain characteristics, personal qualities and the experiences they posses in order to join the group. Some researchers have the ability to gain access to different populations and have an easier time making meaningful connections, because they are a part of and/or understand the culture they are going into. Dunbar (2008) discussed in the chapter of the significance of the “Lived Experiences” about the benefits of having a shared experience. The idea that being a researcher that has a connection with the subjects allows for seeing or hearing what is, or conversely, not being said because one “knows where you’re coming from” (Dunbar 2008). There are two ideas that I have come to understand through our readings, last week and this week. One we need to take a personal inventory of ourselves, the experiences that we have had both through life, and in education, and being willing to disclose and acknowledge the good and the bad. The other idea is that of knowing that our outward appearance and perceived status because of our education will open and close doors, depending on the groups we are researching. By doing both of these I feel as if I will help myself gain a sense of credibility and convey a desire to help tell the story of those being researched. In the Participatory Action Research and City Youth(Bautista & Morrell, 2013) article, I found the students ability to bounce between the different school districts in order to do the research as they had that lived experience and were accepted into the other cultures because they too were students. By being a cohort of members from each of the schools, traveling with the members of the other schools they could gain access, observe, interview and report. Through the cohort they were able to assist each other in their research, establish credibility, work in the group to establish how the research would go, and how they would report it out, all with the support of their faculty to help guide them. In doing their research it was interesting to see student’s perception of things being considered “adequate”, as compared to the same things being viewed as exceptional by others. 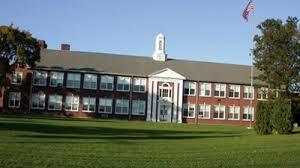 This idea really gave me that reality check, even though I am from a small town, with a single school, K-12 essentially in one building, I used to think it was just “ok” an nothing special. However after moving here, and seeing schools here, I came to appreciate what I had in facilities, and in teachers. Yes. This is my actual high school (source, personal collection). Ultimately we are not undercover agents, but we will be learning to negotiate our identities in order to meet a desired goal, and hopefully do some good. The more we can help each other navigate cultures, and to learn more about ourselves, the better we will be as researchers. Bautista, M. A., & Morrell, E. (n.d.). Participatory Action Research and City Youth: Methodological Insights From the Council of Youth Research UCLA, 115(October 2013), 1–23. Dunbar, C., Jr. (2008). Critical race theory and indigenous methodologies. In N. K. Denzin, Y. Lincoln S. & L. T. Smith (Eds. ), Handbook of critical and indigenous methodologies (pp. 85-99) SAGE. Lately I have been coming across the word epistemology a lot; talk about a difficult word to ascribe meaning to. I suppose that is how it goes with most philosophical studies, no? However, the study of knowledge and how one learns has become a central theme as I start my doctoral program. In particular, when reading an article by Wenger (2000), the idea that we, as individuals, “…each experience learning in our own ways” (p.3) held significant importance as I thought about this in terms of my own field. In my blog post from last week, I remarked that I recently had a light-bulb moment when I realized that the students I was preparing to send abroad could not hope to fully negotiate differences with other cultures without possessing a firm understanding and awareness of their own culture and identity. Only now it seems obvious to me that we all would experience learning in our own ways, shaped by our own identities and experiences. Nevertheless, I felt a similar sensation of discovery when I read Wenger’s words and reflected on some of the following points raised by other authors. Though it was quite foreign to me, I found Cajete’s (2008) chapter on the different orientations of indigenous science education to be a fascinating way to contextualize this theme. Since I have grown up in a Westernized society, what I think about knowledge acquisition and creation, and namely the scientific process, seem almost second nature to me. However, I was not just born with the inherent knowledge of these processes, rather, like indigenous populations mentioned in Cajete’s chapter, my understanding of the world and how to learn and create knowledge are products of my environment and those who have taught me our society’s norms and traditions. Though it is difficult for me to imagine incorporating dreams into our scientific processes as it seems Garfield (1974) suggests some American Indian societies do as part of their knowledge-gathering traditions, I do agree that as educators, we need to be more flexible to adapting our own rigid means of conveying knowledge in order to better connect with those students that come from exceptionally different backgrounds than our own. However, one point of disagreement for me that stemmed from an issue raised by a few of these articles was the idea that ‘White, Western’ society’s notion of objectivity in research and knowledge creation is unrealistic, and perhaps limiting. Specifically, Crenshaw, Gotanda, Peller, & Thomas “[rejected] the prevailing orthodoxy that scholarship could or should be “neutral” and “objective.” These scholars believe that scholarship about race in America could never be written or distanced from or with an attitude of objectivity” (as cited in Cajete, 2008, p. 87). Similarly, Cajete (2008) maintains that, “…focus on objectivity can block deeper insight into the metaphysics of the reality and process of the natural world. Western science does not consider the affective, intuitive, and soulful nature of the world” (p. 491). I find these claims truly vexing when I think about the implications of non-objectivity in scholarly work. When I read reports and journal articles, read or watch the news, or am told something is a certain way by an authoritative figure, I find myself questioning to what degree individual biases have affected the information that is being transmitted to me; I tend to never take information at its face value. 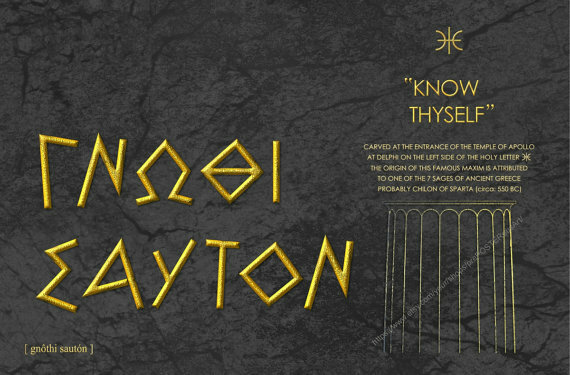 Call me a cynic, but to me, knowledge creation that is not objective and devoid of emotional, spiritual, and personal notions cannot be truly counted to be knowledge. At best, this would constitute someone’s educated opinion. I respect that perhaps my opinion on this matter is colored by the years in which I have grown up with this Westernized doctrine, and I do agree that true objectivity is rare in most all fields and a very real threat to credible research, but to introduce these other aspects into research is to weaken its credibility. That being said, there is truth to the general theme that we as individuals all learn how to know in our own way. Just as other cultures perceive the world differently from one another, so to do individuals learn and create knowledge differently. If we, as the new educational leaders, are to provide access and equity, and create positive impact in our field, we need to reflect on the reality that there is no one-size-fits-all method to learning acquisition, and that perhaps the solutions to some of our society’s most pressing issues will be solved by these new or different ways of thinking. Cajete, G. (2008). Seven orientations for the development of indigenous science education. In N. K. Denzin, Y. Lincoln S. & L. T. Smith (Eds. ), Critical and indigenous methodologies (pp. 487-496) SAGE. Dunbar, C., Jr. (2008). Critical race theory and indigenous methdologies. In N. K. Denzin, Y. Lincoln S. & L. T. Smith (Eds. ), Handbook of critical and indigenous methodologies (pp. 85-99) SAGE. Garfield, P. (1974). Creative dreaming. New York: Simon & Schuster. In Garcia and Ortiz’s 2013 piece, Intersectionality as a Framework for Transformative Research in Special Education, their argument is that it is impractical to hope to draw conclusions or prescribe solutions when dealing with a disparate group of individuals; you must acknowledge that every individual is comprised of multiple identities which colors their experiences and how they perceive the world. As they explain, “A master category like race/ethnicity fails to account for within-group diversity based on people’s multiple social identities. Concomitantly, the education system’s failure to account for within-group differences renders these sub-groups invisible, and increases the risk that some students with special needs are overlooked and may not receive services to which they are entitled” (p.36). By choosing to examine a subset through the lens of just a single, superficial identity, such as race, we as educators, fail to acknowledge that what works for one member of that racial group might not actually be what is best for another member of that same racial group who also identifies with another subset. When I think about this principle in my field, one example might be concerning the dearth of African-American participation in education abroad. When we make sweeping generalizations that the reason for why this population is under-represented in education abroad is because of economic deterrents, we fail to account for other factors that might be contributing to their decision to pursue this opportunity. Perhaps they also identify as lesbian, gay, bisexual, or transgender and have reservations about navigating another culture with this identity because of difficulties living with this identity at home. Or perhaps their parents never had the opportunity to study or travel abroad and so they do not even have the background from which to ask the right questions and start the research to take part in this opportunity. The possibilities are as infinite as there are unique identities. Perhaps more interesting to me, in terms of drawing comparisons to my field, was the 2003 article by Howard, Culturally Relevant Pedagogy: Ingredients for Critical Teacher Reflection. In my current position, I lead our Student Orientation and Re-entry Team (SORT). The SORT team is responsible for organizing our students’ pre-departure orientation meetings before they depart for their programs abroad. As recently as this past year, I had a quintessential light-bulb moment when I realized that we were going about preparing students for their short-term programs the wrong way. We had been focusing on introducing students to their host culture when really, one cannot begin to understand another culture before one understands their own culture, and more specifically, their own identity. In a similar fashion to Howard’s argument that teacher’s need to engage in critical reflection to understand the particular biases that they bring into the classroom environment, so to do our students who are going abroad need to understand who they are as a person and an American and how that will influence their perceptions and understandings of a host culture. Therefore, identity is perhaps one of the central foundations of problems related to access, equity, and impact because it is identity which raises the questions of who has access, is there equality across all involved, and what is the impact for individuals? In terms of education, identity seems as though it may forever be the guiding light to which educational leaders must continually return in order to solve the issues related to these areas. Garcia, S. B., & Ortiz, A. A. (2013). Intersectionality as a framework for transformative research in special education. Multiple Voices for Ethnically Diverse Exceptional Learners, 13(2), 32-47.